K2 VO2 90 Boa Men black white red - the model of 2019 was equipped with a Vo2.2 frame, with 4x 90mm / 83a wheels and ILQ-9 ball bearings. 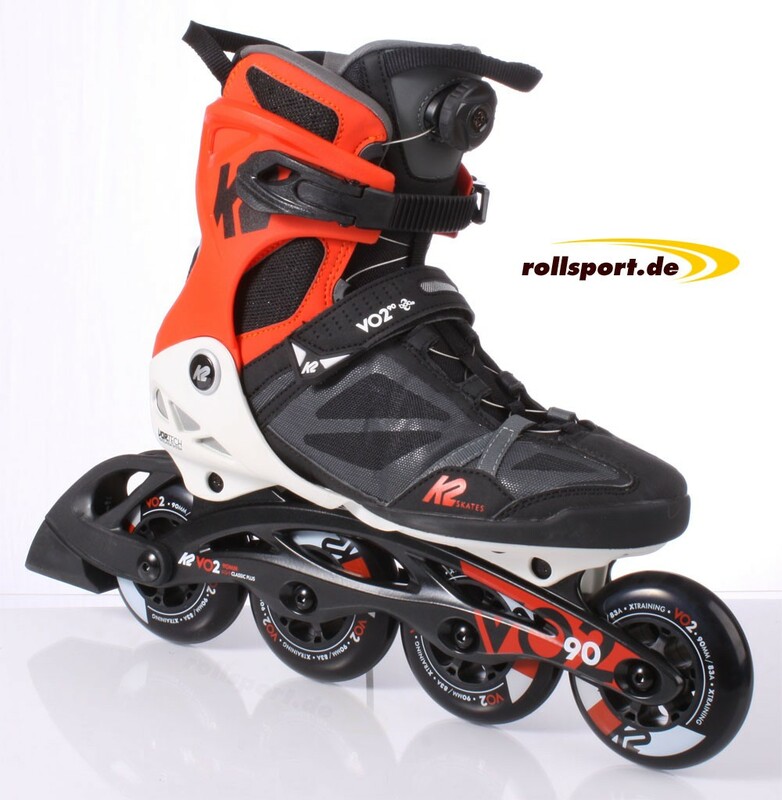 The new training and fitness inline skate from the market leader K2 Skates, is black and white red in the new year. The frame of the Vo2 90 Boa Men 2019 is a Vo2.2 frame with a maximum wheel size of 90mm. On the Vo2.2. frame was installed 4x 90mm wheels with a hardness of 83a and an ILQ 9 Classic Plus ball bearings. The lacing system of the K2 Vo2 90 Boa Men black white red, consists of a Boa closure system, a fastener tape with ratchet buckle, and a Velcro fastener. Due to the very comfortable softboot, which fits perfectly to the foot, as well as the VO2 Cuff, neither the fit nor the stability in the skate is too short. 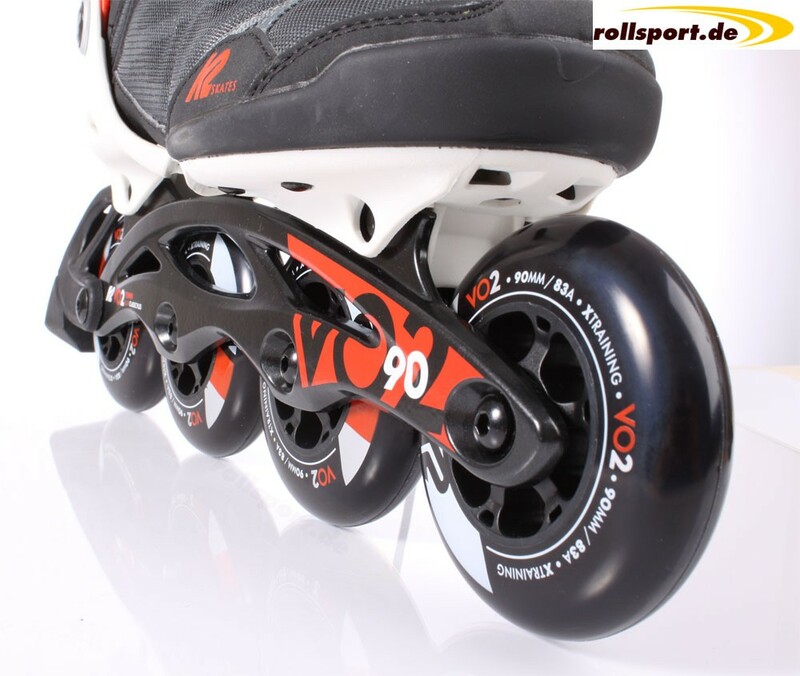 The K2 Vo2 90 Boa skates are equipped with the Vortech ventilation system. Noncommittal tip for fit: The size is about 1 size smaller. 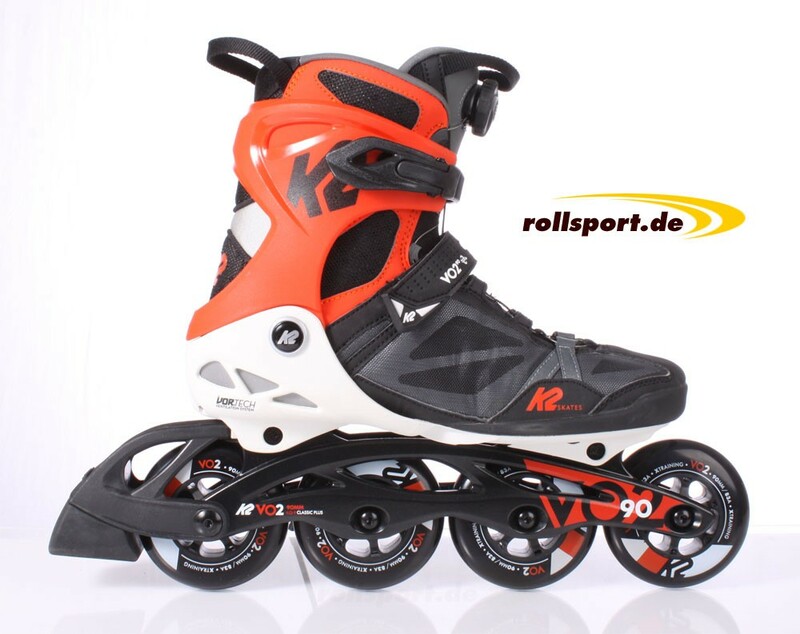 If you don't like this inline skate, you can go back to the K2 Men skates.